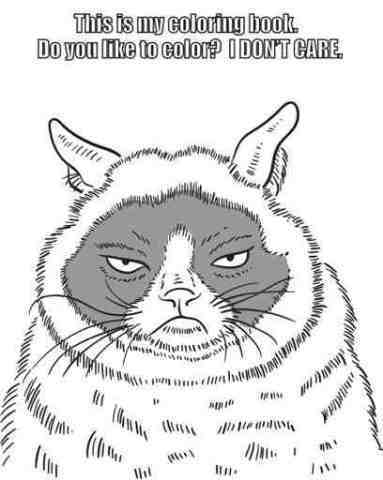 How Do You Color A Grumpy Cat? 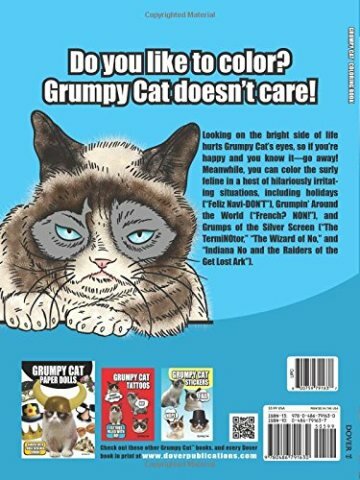 With the art of coloring having made a strong resurgence in the past few years the idea of putting Grumpy (aka Tardar Sauce) in a coloring book a great idea. 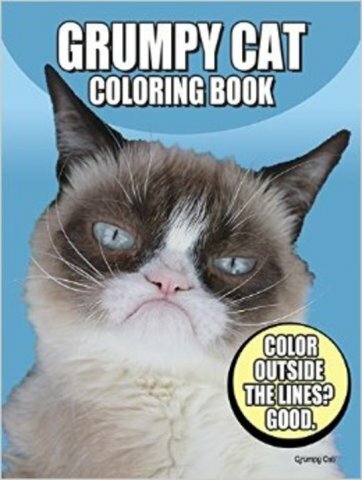 There are 64 pages of coloring fun in this book. Can't stay inside the lines? Grumpy thinks that is a good thing so let go of all of that perfection stuff. Just enjoy the ride! Naturally you need to provide your own crayons, colored pencils, or pens, but other than that you are good to go. This product is 100% electronic technology free, that is once it hits your hands. It is wonderfully simple and simply wonderful. 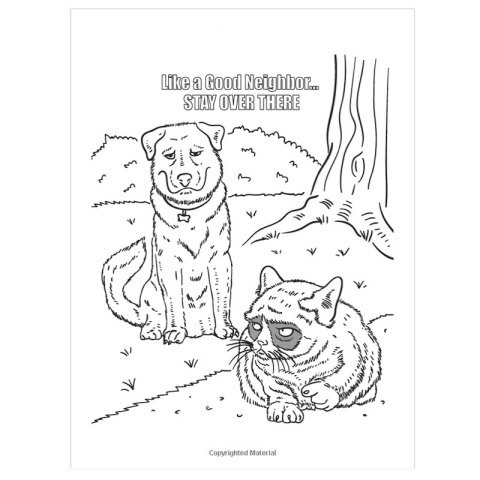 To order your own Grumpy Cat Coloring Book for yourself or someone you love, click here.